Bo Svenson (born 13 February 1941) is a Swedish-born American actor, known for his roles in American genre films of the 1970s and 1980s. He is a naturalized United States citizen. In the late 1960s, Svenson had a recurring role in the hit TV series Here Come the Brides as Lumberjack Olaf "Big Swede" Gustavsen. 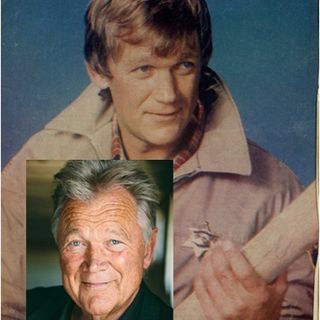 In the mid-1970s, he took over the role of lawman Buford Pusser from Joe Don Baker in both sequels to the hit 1973 film Walking Tall, after Pusser himself, who had originally ... See More agreed to take over the role, died in an automobile crash. He reprised the role again for the short-lived 1981 television series of the same name. One of his most famous roles in films was as murder-witness-turned-vigilante Michael McBain in the 1976 cult classic Breaking Point. He played the Soviet agent Ivan in the Magnum, P.I. episode "Did You See the Sunrise?" (1982) and many years later had a cameo as an American colonel in Inglourious Basterds, as a tribute to his role in The Inglorious Bastards; he is the only actor to appear in both films.